It has been 12 years since the last time I spend my Easter or Holy Week in the Philippines. 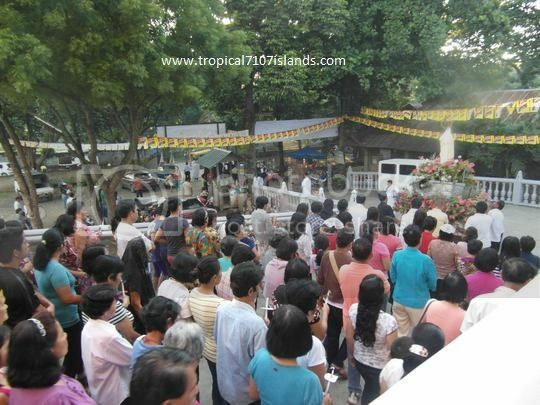 I missed how we Filipinos celebrate the Easter or Holy Week as we fondly called it. Holy Friday is the solemnest day of the week. The roads are not busy. You seldom see public vehicles. Most of the stores are close so as the government office. One place that is crowded is the church. I missed listening to the radio where the broadcast how God’s life portray. We will not eat any meat. You eat mostly vegetables. I missed playing with my cousins. We play cards. The best part I missed is going to church with my Mom. She belongs to a group at the church. 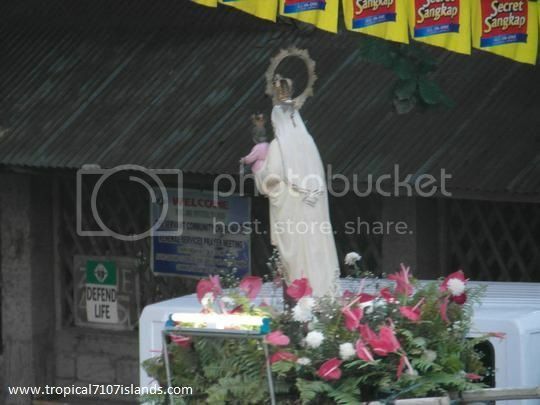 We attend procession or parade with the Statue of the Virgin Mary and others. We walk barefoot from church to our town. We pray the rosary until we are back to the church. I missed attending mass and will bring container for the Holy Water. I missed the Easter Sunday where an angel is singing when Jesus Christ is resurrected. I missed going to the beach with my family and cousins especially Sunday. We will eat and pig out ourselves. Now that I live in America, celebrating Easter is very modern. Holy Week is like a typical day. My kids have no school as they are having their Easter break. I did not grow up having Easter baskets. I just bought some Easter baskets for my kids and fill them up with books and candies. Sunday we are coming to one of my sister-in-law for dinner. My husband is not coming as he is scheduled to work 12 hours that day. I wish everybody a happy Easter wherever you are or however you celebrate it. What matter most is that you believe in God and that he saves us from our sins. This entry was posted in beach, family, food, travel and tagged Easter, Holy Week, Philippines. Bookmark the permalink. have a happy Easter too, yes, that is what I noticed here too, Friday is just any ordinary day, however, we are allowed at school to take religious holidays day off, but usually, I do not apply because it’s a lot more work to be absent from class, I have to make lots of lesson planning for the substitute. However, Easter Sunday here is when there are less cars on the street, because most are celebrating Easter with family, and I think the church on Easter Sunday has the most number of people, our parish here usually has to open one big auditorium as extension, so, there are several masses going on at the same time schedule to allow a flux of people on Easter Sunday. I share the same sentiment Sis. This is the 16th Holy Week away from home, and it does not feel the same. Earlier today, I was in church for the Good Friday mass and it’s totally different. Anyways, I wish you and your family a blessed Easter. I agree with Papaleng. Or if not in the beach mostly people spend the holy week on swimming pools. Happy Easter to you and your family too, Jessica. May you have renewed hope in the Risen Lord. Just like the big cities in the Philippines, Sydney roads are very busy during the Easter break especially on a Good Friday because that’s the first official public holiday here and not Thursday. That’s what I miss too, being able to really feel the essence of the Holy Week back home with the padasal/pasyon, visita de Iglesia, Stations of the Cross and watching religious movies during the whole holy week. Here in Dubai, even if this is a muslim country, the government and the locals respect our right to practice our religion. We also have Lenten masses and activities here. Some Catholics went all over the various Catholic Churches around the whole Emirates.